By Wednesday, the topic "Cai Xukun 0802 Happy Birthday" had been viewed 11.42 billion times and discussed more than 110 million times on Sina Weibo. Another major drive behind the idol's rise in popularity is that Cai is scheduled to release three new songs and a new music video on Thursday to celebrate his big day. "This is possibly the most important birthday that I have ever had in my life… my works are like my children and I have put my best effort into them," Cai said at a recent press event in Shanghai. According to reports, a charity fund-raiser for autistic children will also be held on Thursday. Fans of Cai have long referred to themselves as "iKun," a play on ai Kun, or "love Kun" in Chinese. Previously, iKun groups donated money to build a road in a village in Sichuan Province for local school children. According to media reports, work on the "Ai Kun Road" is expected to be completed on Thursday. 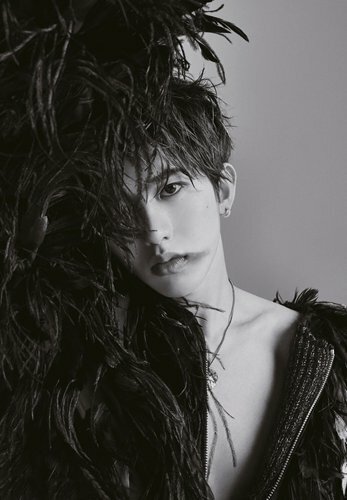 Cai is a recent rising star who earned himself a huge fan base around the globe after standing out on the idol reality show Idol Producer and debuting as the team leader of Nine Percent, a boy band made up of nine winners of the show, on April 6.